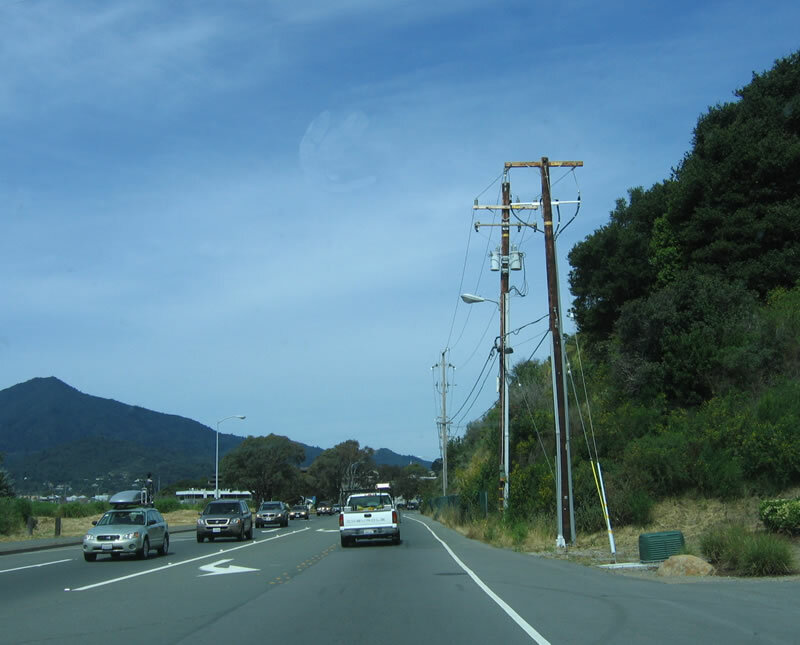 California 251 is an unconstructed route that is proposed in two segments in Marin County: from Interstate 580 near San Quentin west to U.S. 101 and from U.S. 101 in San Rafael west to California 1 near Point Reyes Station. Neither section has been built (or is in any near-range plans to be built), since it is intended to become a freeway. 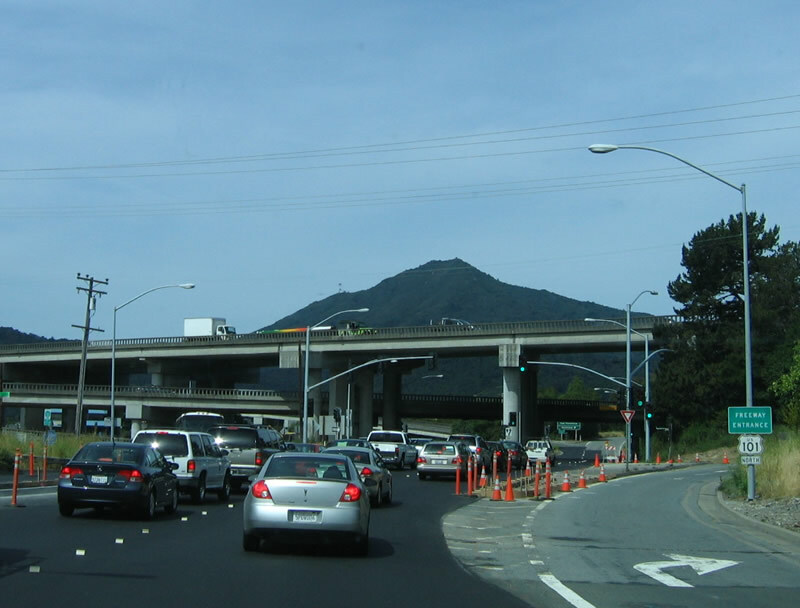 However, a surface street alignment of Sir Francis Drake Boulevard closely follows the proposed yet unconstructed routing of California 251 between Interstate 580 and U.S. 101 via San Quentin. 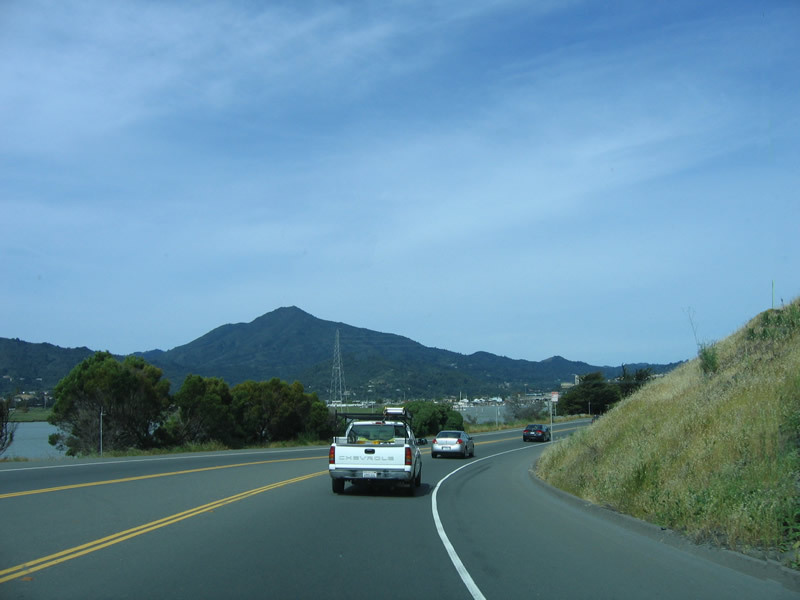 This page shows pictures along Sir Francis Drake Boulevard through San Quentin. At this time, Caltrans does not plan to take over this local street as a state route. 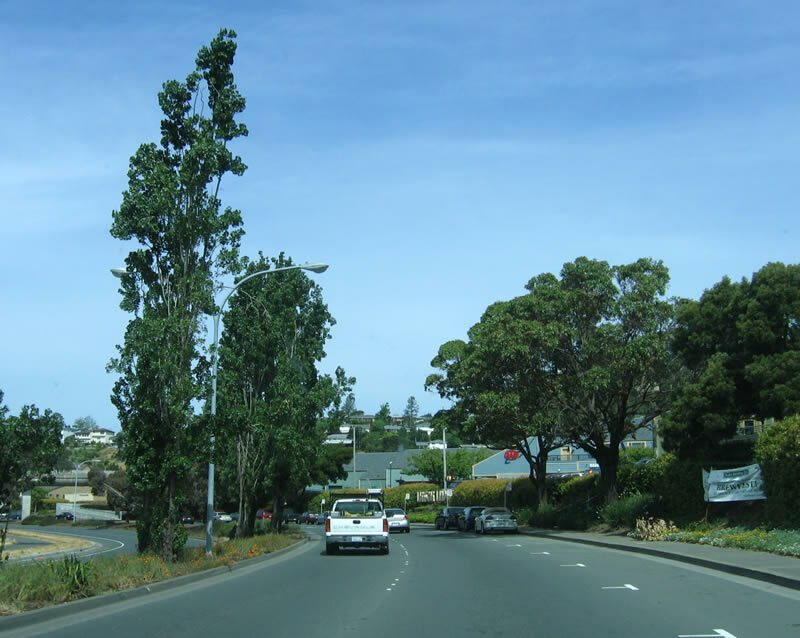 Sir Francis Drake Boulevard follows the path of proposed yet unconstructed California 251. After exiting Interstate 580 on a 1957 transition ramp that was intended for the eventual freeway connection to unconstructed California 251, Sir Francis Drake Boulevard feels like an expressway. The first turnoff is for Anderson Drive. Photo taken 05/25/06. 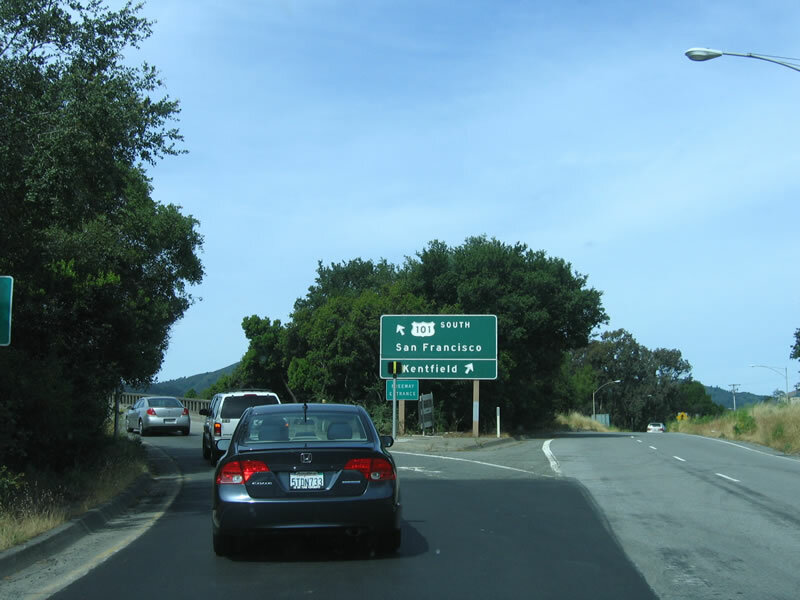 Two-lane Sir Francis Drake Boulevard carries a fair amount of traffic as it travels southwest toward San Quentin. Photo taken 05/25/06. Views of San Francisco Bay are afforded on southwestbound Sir Francis Drake Boulevard as it approaches San Quentin. Photo taken 05/25/06. 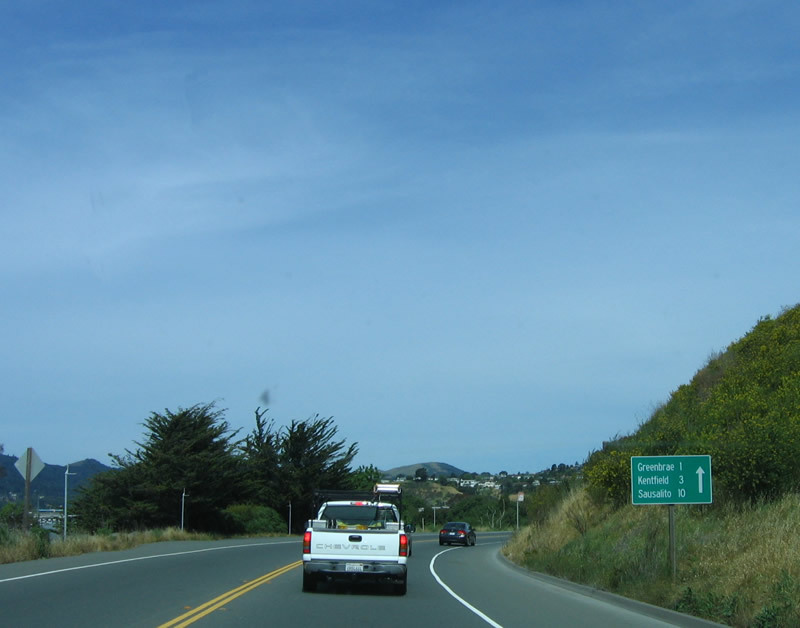 A substandard mileage sign provides the distance to Greenbrae (one mile), Kentfield (three miles), and Sausalito (ten miles). Photo taken 05/25/06. After passing by the state prison at San Quentin, Sir Francis Drake Boulevard has fewer state highway characteristics and feels more like a typical suburban street. Photos taken 05/25/06. 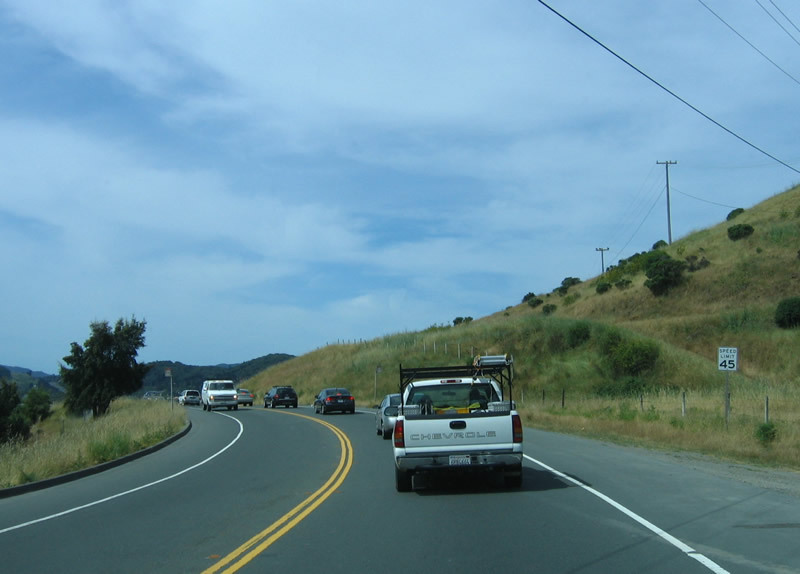 Now four lanes, Sir Francis Drake Boulevard west approaches U.S. 101 (Redwood Highway). Photo taken 05/25/06. 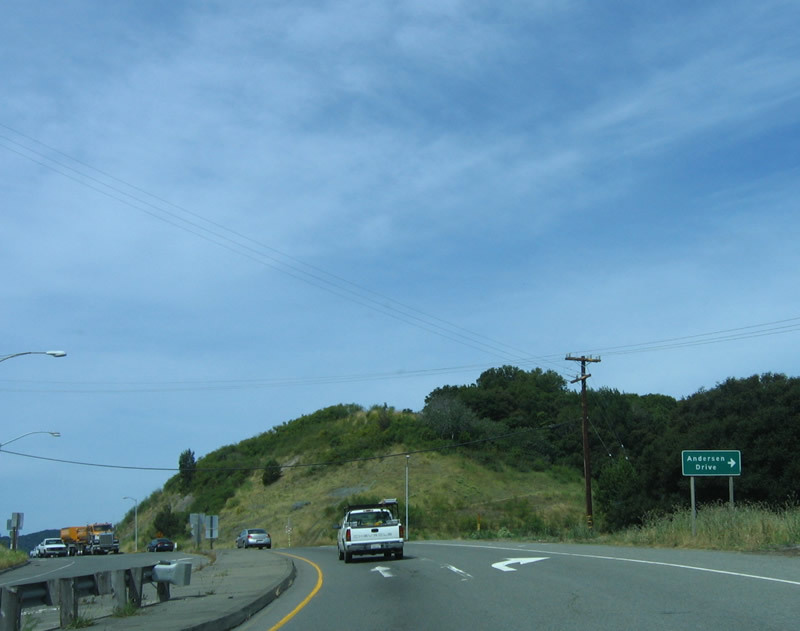 A steep connecting ramp leads from westbound Sir Francis Drake Boulevard to northbound U.S. 101 (Redwood Highway). Photo taken 05/25/06. 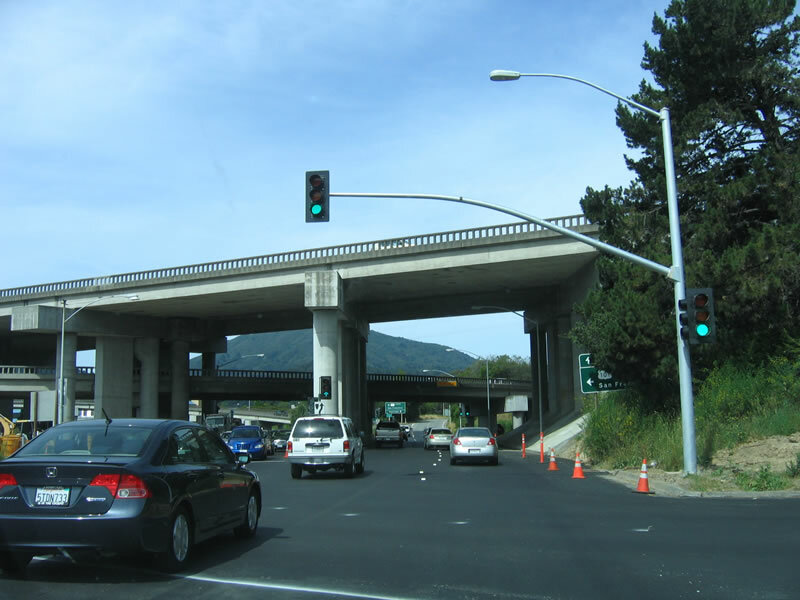 The interchange between Sir Francis Drake Boulevard and U.S. 101 (Redwood Highway) is a stack interchange, with a design that perhaps portended a future connection to a freeway California 251. However, that freeway proposal is all but dead. 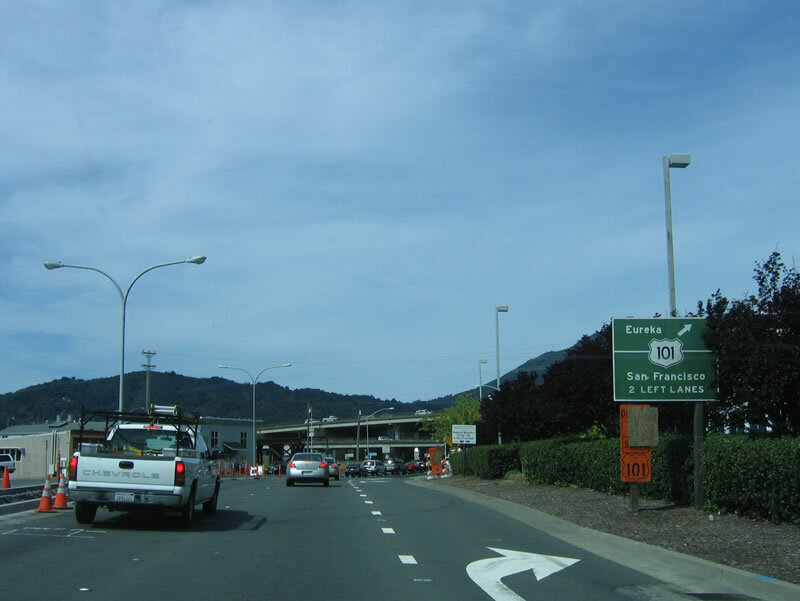 The connection to U.S. 101 south is the next left. Photo taken 05/25/06. Westbound Sir Francis Drake Boulevard approaches U.S. 101 (Redwood Highway) south to San Francisco (after the traffic signal). Continue straight ahead to Kentfield. Photo taken 05/25/06. 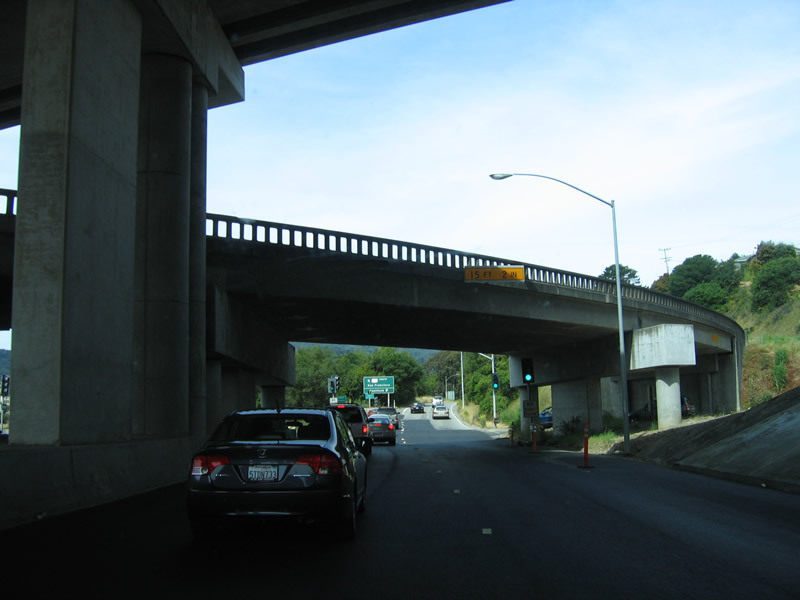 A flyover ramp carries traffic from northbound U.S. 101 (Redwood Highway) to westbound Sir Francis Drake Boulevard. Photo taken 05/25/06. Another trapping of the proposed yet unconstructed freeway connector here is the high speed ramp to U.S. 101 south. 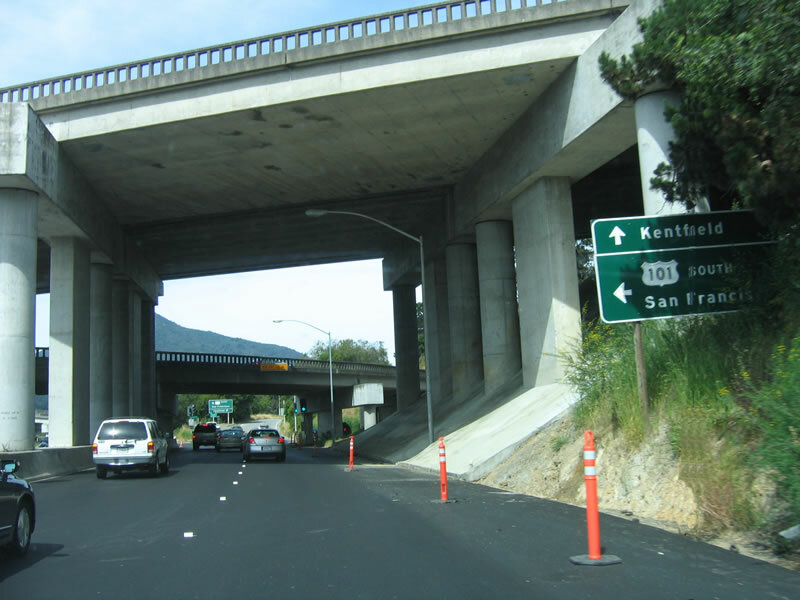 The right lanes continue west on Sir Francis Drake Boulevard to Kentfield. Photo taken 05/25/06. Page Updated February 7, 2007.